The reason for Mumbai's high car density can be attributed to lack of road space with just 2,000 km of roads as compared with 28,999 km in Delhi, although the city's private car population is less than a third of Delhi's. India's financial capital Mumbai pipped other cities to become the most car-congested city in India as the density of private cars soared by 18 per cent in just two years. With 510 cars per km, the car density in the city is almost five times that of Delhi, which has 108 cars per km, the Time of India reported. The other cities that followed suit are Pune at the second spot with 359 cars per km, Kolkata at third position with 319 cars per km, Chennai with 297 cars per km and Bangaluru a distant last with 149 cars per km, according to the statistics from the respective state transport departments. The data from Maharashtra transport department shows that the enormous vehicle population and low road space in Mumbai often to huge traffic jams, pollution and unauthorised parking on roads. "Mumbai has been bursting at the seams past few years, and if there is no control over the purchase or mobility of private cars across the city, commuting by road will be a nightmare." Ashok Datar. Transport expert told the news daily. The car density in Mumbai was 430 cars per km in mid-2016 going up to 510 currently, as per Maharashtra transport ministry data. 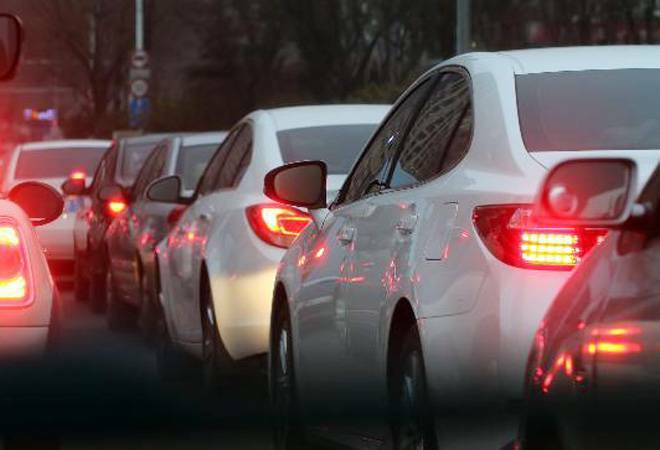 This has led to an increase in the total number of registered private cars to 10.2 lakh on city roads, which is roughly 28 per cent of the total vehicular population in the city at 36 lakh, officials told the news daily. The rise in the number of private cars in Mumbai has alarmed the transport officials, as they feel it is an "impediment" for the growth of public transport in the city. They also fear that this increase will lead to a lot of parking issues. Transport commissioners, in the past, have suggested a lot of ways to control the growth in the car population in Mumbai which includes dissuading citizens from driving personal vehicles. However, an official said that the government is now focusing on setting up several Metro rail corridors to ensure a smooth commute in near future and encourage mass public transport.